Thomas & Betts Carlon® 58.58-Inch Special radius 90-degree elbow with belled end connection, is suitable for use with SCH 40 rigid non-metallic conduits. 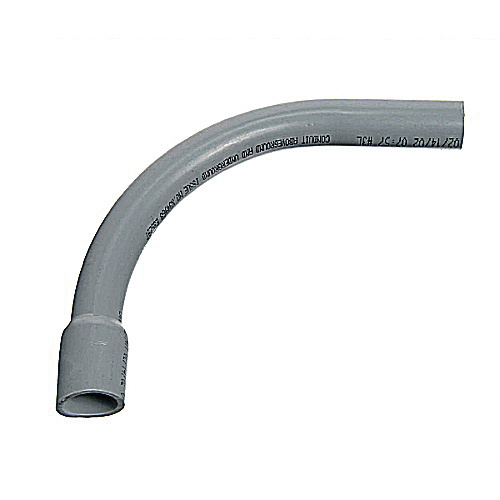 This Schedule 40 elbow in gray color, features PVC construction. Elbow is ETL, UL listed and meets NEC®, NEMA TC-3, WC1094A standards.